It doesn't take long to fly from Melbourne to Sydney. I arrived a few hours ahead of mrC and since it was raining we stayed close to the hotel only venturing out for a late lunch/early dinner. 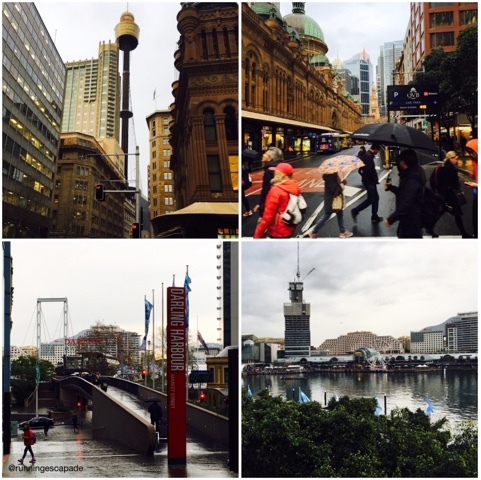 We walked a couple blocks to Darling Harbour spotting the Sydney Tower and the Queen Victoria Building on the way. The QVB is home to some great shopping, or so I hear. We never made it inside. (I guess I'll just have to go back!) 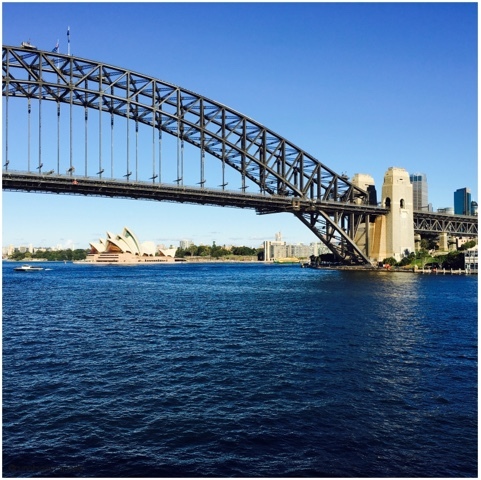 Darling Harbour is a tourist hotspot with restaurants, shopping, the National Maritime Museum and more. The next morning we started with a good sprint workout at the hotel gym. 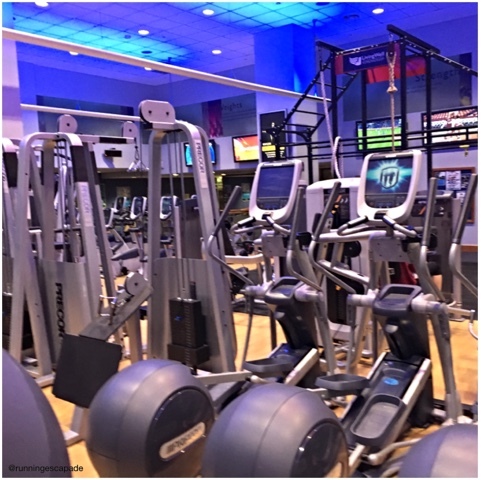 The fitness center in Sydney Hilton was even more amazing than the one in Shenzhen. 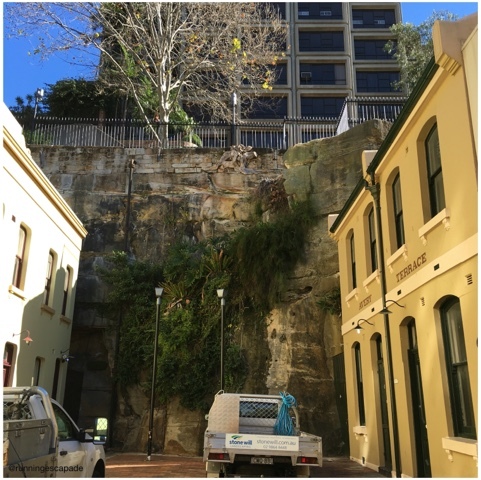 After a quick low carb breakfast at the hotel, we walked down to The Rocks, the oldest neighborhood in Sydney and literally built on rocks. We walked along the cobblestone streets and I wished it was the weekend so I could stroll through one of the famous markets selling local artist's handmade gifts and jewelry and organic food. 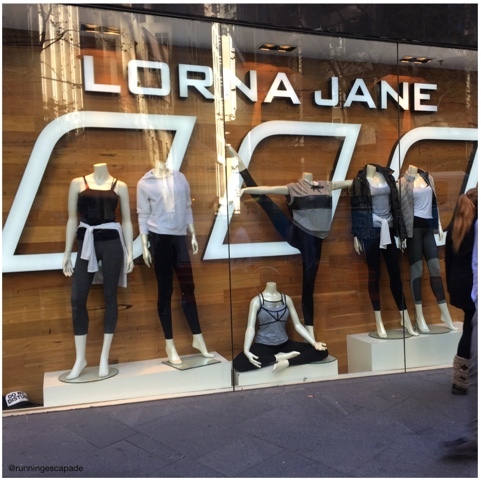 On the way there, we passed a Lorna Jane fitness store. 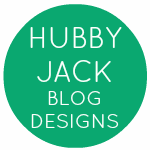 I was happy to browse the shop on George Street and pick out a LJ souvenir. A fitness blogger in LJ land has to test the local product, right? 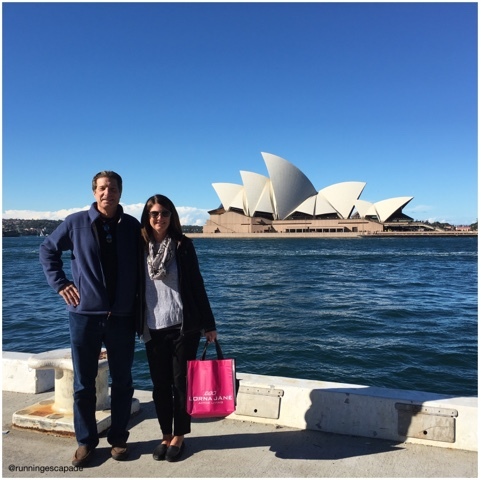 After wandering around The Rocks, we walked along the waterfront getting our first views of the Sydney Opera House on our way to Circular Quay for our Captain Cook Harbour Cruise. The views from the boat were amazing. 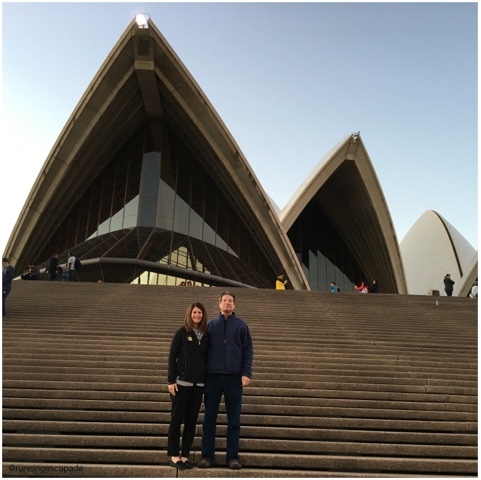 We got to see the most famous landmarks from all perspectives. 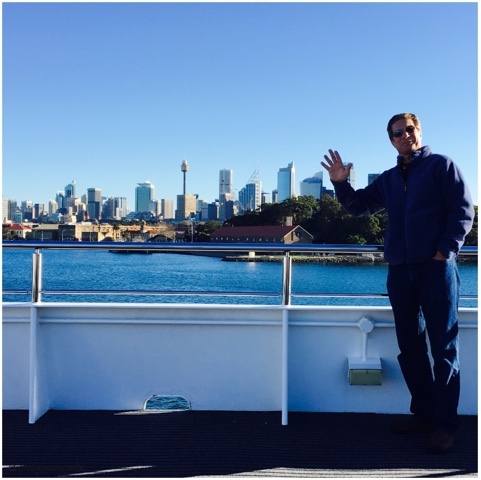 If we could have a do-over on this part, we would just jump on the commuter ferry (for less AUD) and see the same sights. The narrative part of the cruise was not audible, at least from the upper deck. It wasn't worth the money. 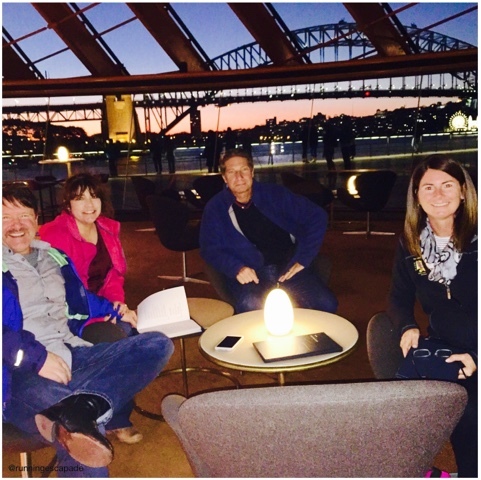 We grabbed dinner on the waterfront at the quay, then walked to the Sydney Opera House. It's interesting to see things in person that you have only seen on television. The Opera House is much more of a tan color than the bright white it has appeared to me. Over cocktails, we watched the sunset before going inside to see a performance by the Bangarra Dance Theater: Our Land People Stories. Coming up next: a bike ride and eating like the locals!